Hayya Lovely's. 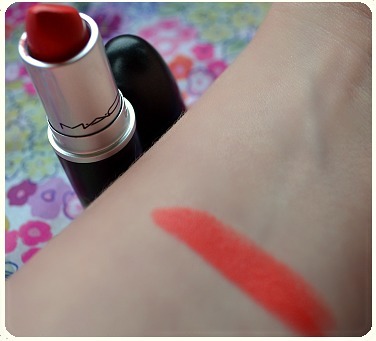 Today's post is on one of my favourite lipsticks from MAC called Vegas Volt. I have decided to go though all my favourite MAC lipsticks because as some of you know I'm holding a giveaway to win a MAC lipstick of your choice. 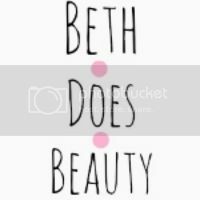 This lipstick is very easy to wear and is great for every day, and every event you may be going to. My picture does not give it justice as it looks a little toned down. 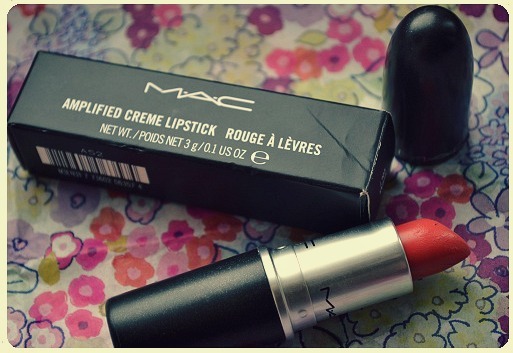 This lipstick is part of the Amplified formulas which means its very pigmented and very creamy. The Amplified formulas are very long lasting and can be quite difficult to get off as they can sometimes stain your lips. You do have to be quite careful when applying as the formula is so smooth and pigmented that the slightest touch is very vibrant. I would recommend using a brush with the MAC Amplified formulas. I used to not like lip products but Mac lipsticks changed me, and I think my favourite formula definitely is the Amplified. The only problem I have with MAC lipsticks is they have raised the price AGAIN from £13.50 to £14. that's a really pretty colour, I love corals.